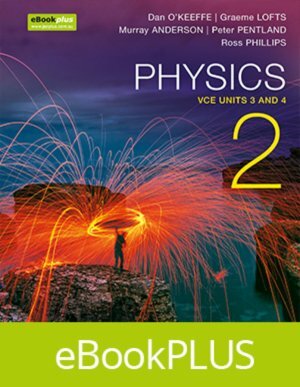 Physics 2 VCE Units 3 and 4 with eBookPLUS (Online Purchase) and studyON VCE Physics Units 3 and 4 3E eBookPLUS provides comprehensive coverage of the new VCAA study design for 2017-2021. Jacaranda’s unique exam preparation tool studyON is now included and fully integrated with the text, maximising every student’s opportunity for exam success. Jacaranda Physics 2 is the second title in its series. To view the rest of the titles in this series, click here.